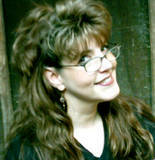 Geralyn Beauchamp is a fantasy/romance/action-adventure/fractured fairy tale author who likes to spin whimsical yet epic tales! A book reviewer for five years, she read voraciously (why do you think she wanted to become a book reviewer? It was the perfect excuse to HAVE to read!) and, well, one thing led to another and now she's a best selling author on amazon's kindle. Her first book, Time Masters Book One; The Call, was actually written at the urging of author friends, most of whose books she reviewed. So, on a dare from Julia Quinn that went something like, "Oh c'mon, I know you can do this, I DARE YOU!" (It was a simple yet effective dare) Geralyn went on to write her first book. That was in 1995. After which she simply proclaimed, "I d Geralyn Beauchamp is a fantasy/romance/action-adventure/fractured fairy tale author who likes to spin whimsical yet epic tales! A book reviewer for five years, she read voraciously (why do you think she wanted to become a book reviewer? It was the perfect excuse to HAVE to read!) and, well, one thing led to another and now she's a best selling author on amazon's kindle. Her first book, Time Masters Book One; The Call, was actually written at the urging of author friends, most of whose books she reviewed. So, on a dare from Julia Quinn that went something like, "Oh c'mon, I know you can do this, I DARE YOU!" (It was a simple yet effective dare) Geralyn went on to write her first book. That was in 1995. After which she simply proclaimed, "I did it!" Just to prove she could, and then stuck said book in a trunk where it sat... and sat .... and SAT... until Christmas eve of 2007, when it finally hit the book store shelves. Better late than never. When someone suggested she turn it into an e-book she did. But the original Time Masters she wrote back in 1995 was quite long, (so say reader reviews proving it) and she always wanted to give the story a little face lift. So into revision it went and the 2nd edition of Time Masters is what is available as an e-book as of 9/16/2012 on amazon. Be watching for Time Masters Book Two; The Prophecy, coming this Holiday Season! We’d love your help. Let us know what’s wrong with this preview of His Prairie Princess by Kit Morgan. We’d love your help. Let us know what’s wrong with this preview of Bid the Gods Arise by Robert Mullin. We now have a group to have our discussions or fights over our book boyfriends. Loving fictional boys since December 19, 2011. Jeannie and Louis wrote: "Geralyn, It is great meeting you here. Best success with your book. Thanks, Jeannie! It's great to be here! Eric wrote: "Thanks for becoming my Goodreads friend. Geralyn, It is great meeting you here. Best success with your book.